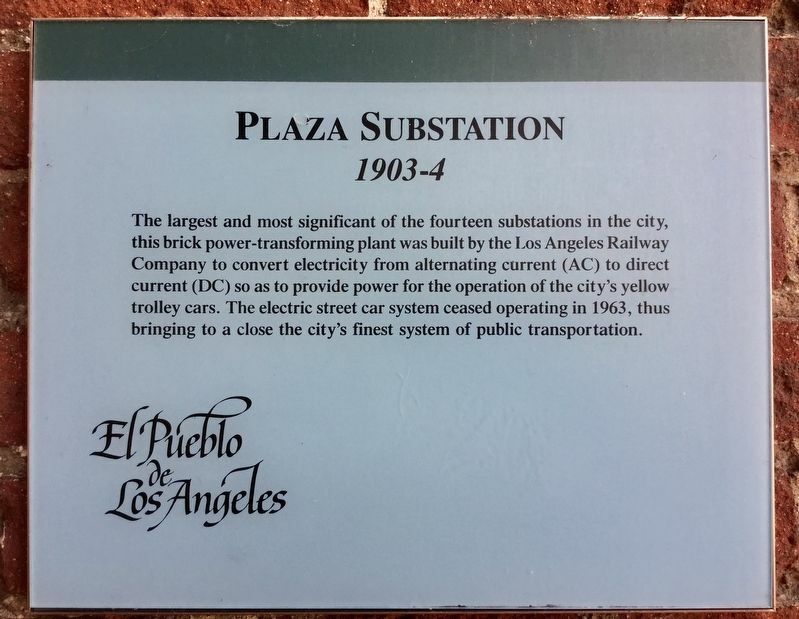 The largest and most significant of the fourteen substations in the city, this brick power-transforming plant was built by the Los Angeles Railway Company to convert electricity from alternating current (AC) to direct current (DC) so as to provide power for the operation of the city's yellow trolley cars. The electric street car system ceased operating in 1963, thus bringing to a close the city's finest system of public transportation. Erected by El Pueblo de Los Angeles. Location. 34° 3.418′ N, 118° 14.27′ W. Marker is in Los Angeles, California, in Los Angeles County. Marker can be reached from the intersection of Alameda Street and Los Angeles Street, on the left when traveling north. Touch for map. Marker is in this post office area: Los Angeles CA 90012, United States of America. Touch for directions. Damien Marchessault (within shouting distance of this marker); Avila Adobe (within shouting distance of this marker); First Mayor of Los Angeles Under United States Rule (within shouting distance of this marker); The Old Spanish Trail (within shouting distance of this marker); Los Angeles Plaza (within shouting distance of this marker). Touch for a list and map of all markers in Los Angeles. More about this marker. 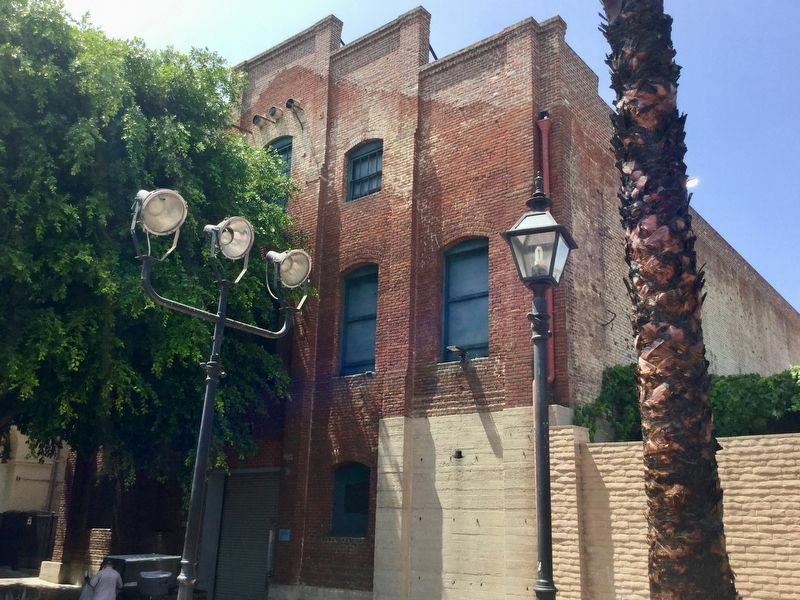 The Plaza Substation is part of El Pueblo/Olvera Street, but the marker does not face the central courtyard. It faces Alameda Street. 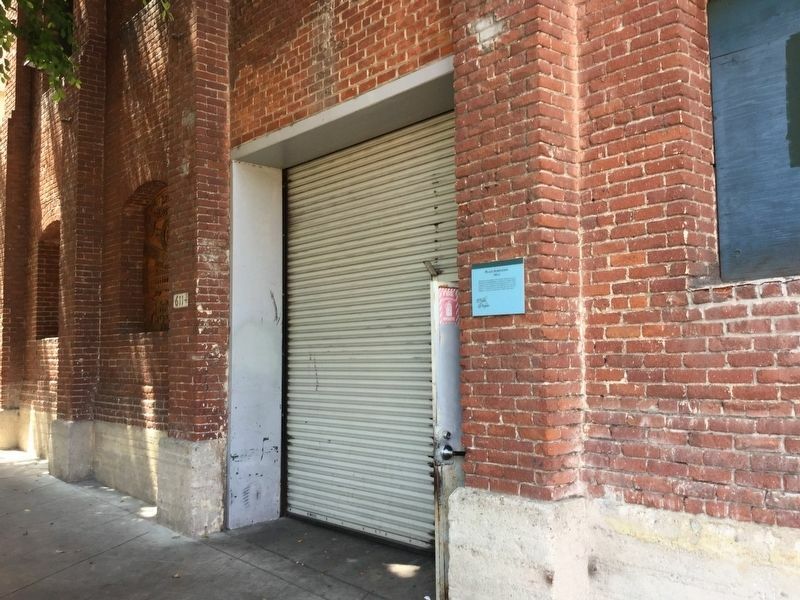 The building today houses electrical equipment for nearby businesses, and it is not open to the public. A wooden marker covering a window opening, hand-carved by local artist Jackie Hadnot in 2016. More. 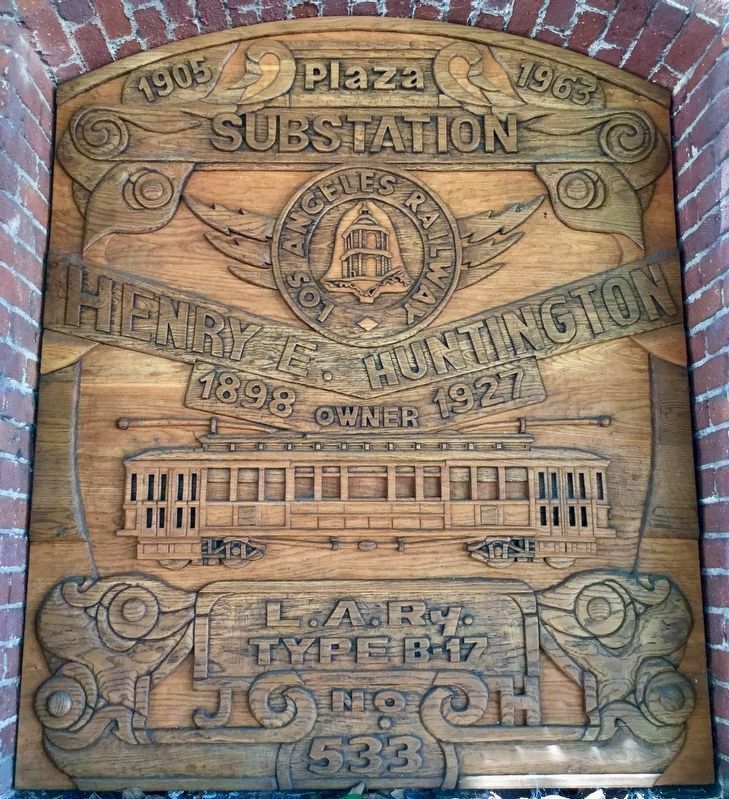 Search the internet for Plaza Substation. Credits. This page was last revised on August 30, 2018. This page originally submitted on August 27, 2018, by Craig Baker of Sylmar, California. This page has been viewed 52 times since then and 9 times this year. Photos: 1, 2, 3, 4. submitted on August 27, 2018, by Craig Baker of Sylmar, California. • Andrew Ruppenstein was the editor who published this page.